Negligent Hiring and Retention Theories can cause liability for employers. These state laws usually apply to public employers. 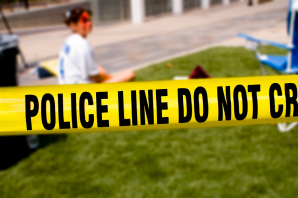 1/6 of all violent crimes occur in the workplace. Don't let an incident like the murder of Annie Le at Yale University happen in your workplace. Incidents of workplace violence happen regularly throughout the United States and threaten employers with liability on a daily basis. Yet statistics reveal that most employers fail to provide training on workplace violence and many do not even have a workplace violence policy. All of these are big mistakes for employers! Let's start at the beginning and understand the definition of workplace violence and how it can impact your workplace. Workplace violence is considered to be any physical assault or threatening behavior or verbal abuse occurring in the work setting. So, as you can see, it is clearly much broader than just the homicides that get reported in the media. Since the definition and the types of incidents that workplace violence includes are so broad, it is extremely important that employers have workplace violence policies to protect the employers from liability. The policy will help managers and employees understand that workplace violence includes instances of bullying and harassment and not just murders. Once your policy defines that bullies and harassers are included in the definition of workplace violence and once your policy sets forth that all instances of workplace violence must be reported, an employer would be better protected than Yale University was in the Annie Le case. Because had Yale had such a policy and had they conducted training on their policy (I dont have any personal knowledge of whether in fact they had such a policy or conducted such training) then perhaps the other workers in the lab would have known that when the lab technician arrested for the murder of Annie Le, Raymond Clark, was allegedly harassing other workers about the cleanliness of their mice cages, that this constituted workplace violence and should have been reported to human resources immediately. Perhaps if it had been reported to human resources, Mr. Clark would have been disciplined and/or terminated which could possibly have prevented the ensuing violence in which Annie Le lost her life. Thus, the best way for an employer to protect itself is to have a policy, to provide workplace violence training and to take affirmative steps to make the workplace safer. What are some of those steps? There are of course the obvious steps such as installing better lighting, security cameras and alarms and then there are the less obvious ways to make the workplace safer. These usually involve human resources. HR should strive to conduct background checks on all employees as well as to conduct exit interviews when an employee terminates his/her employment with that company. This is especially important because of the various theories of legal liability that plaintiffs lawyers love to use in these cases that include negligent hiring and negligent retention. Negligent hiring is based on the theory that the employer failed to conduct a background check on the employee prior to hiring the employee. The theory surmises that had they conducted a background check they would have known that the violent employee had a history of violence in prior employment situations and thus they would have not hired him/her. Thus, the employer was negligent in bringing this violent employee into the workplace without checking the employees background. In addition, when the employee during the course of his/her employment has acted in a manner that demonstrates that he/she may be prone to violence, such as the reports that had come out that Mr. Clark allegedly harassed other employees about the cleanliness of their mice cages, and the employer has done nothing to discipline that employee, the negligent retention theory suggests that management was negligent in retaining that employee despite clear indications that the employee had previously been violent in the workplace. Another important way that employers can protect themselves from this type of violence is by training their managers and employees to be sensitive to the warning signs of an employee who could likely engage in workplace violence. Time and time again in the aftermath of these tragedies, the witnesses and friends all agree that in hindsight there were warning signs that people just ignored or brushed off and did not know to report. Such as Cho, the lone gunman at Virginia Tech who witnesses reported to be a loner who rarely spoke to anyone and someone who had been previously reported to be a danger to himself and others, all clear warning signs that were ignored. In the recent workplace violence case at the LA Fitness gym in a Pittsburgh, Pennsylvania suburb where a lone gunman entered the gym and started shooting, people who knew the gunman also reported that he was a real loner who always kept to himself. Such warning signs can tip off others so that they report these warning signs to human resources to be investigated which can help to prevent these instances of workplace violence. So employers can take actions to prevent their workplaces from the tragedy that happened to Annie Le at Yale University. Employers can develop policies prohibiting workplace violence, deliver training on the warning signs of workplace violence and take steps to make their workplaces safer. For more information or to schedule a workplace violence training seminar for your workplace, please contact Melissa Fleischer, Esq. at 914-417-1715 or via e-mail at info@hrlearningcenter.com. Please feel free to visit our website at www.hrlearningcenter.com.